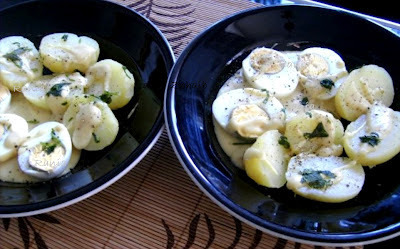 This dish is quite a favorite one, it’s easy and it’s delicious!!! -Boil the eggs, cool, peal and cut into halves. -Heat the butter, add flour and fry slowly so that it does not burn. -Add sugar and mustard paste and whisk to avoid lumps. 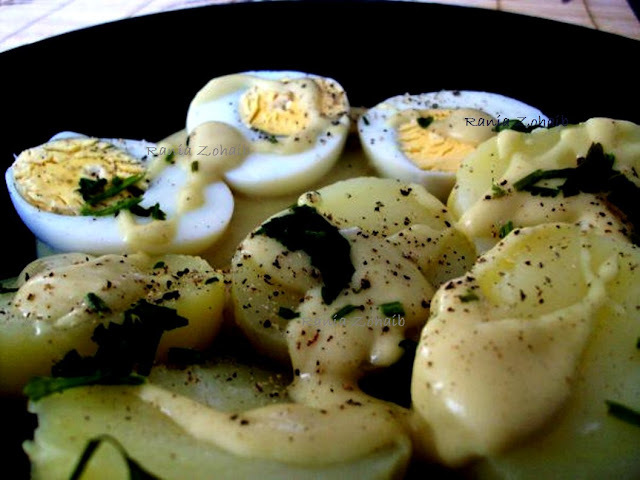 -Place the egg halves and let it simmer on a slow flame for 3-4 mints. Tastes very good if served with whole meal roll buns or an onion baguette.